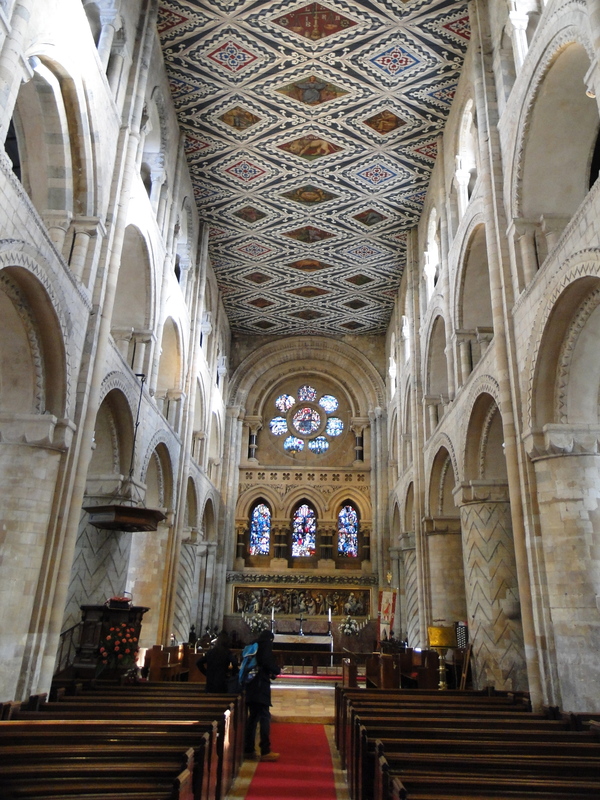 An interesting drive via a selection of minor roads into Epping, then on to Waltham Abbey. 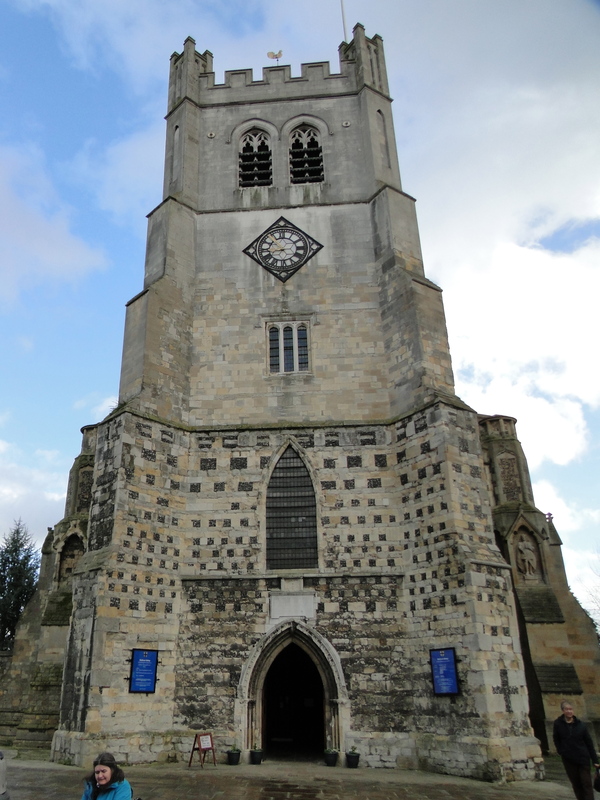 The Parish Church of Holy Cross and St Lawrence – a lovely church, though the town centre has seen better days. 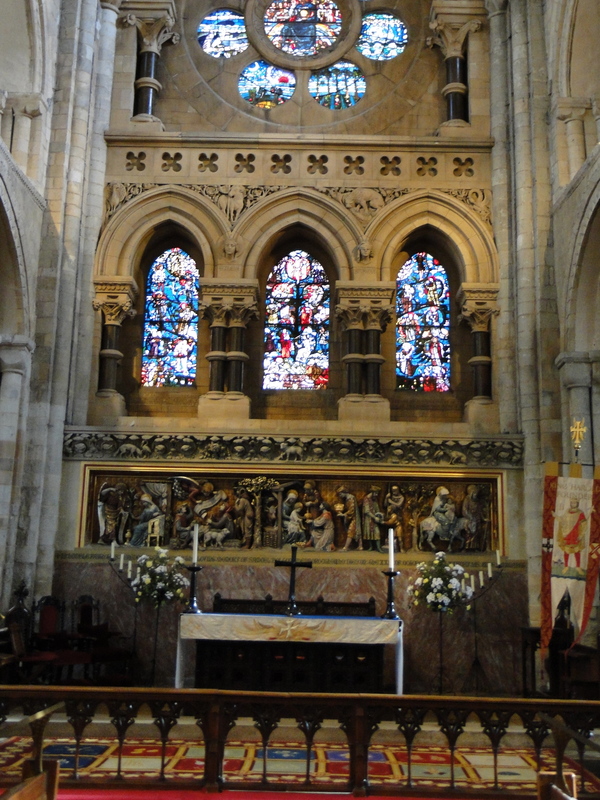 I last came here ten years ago (at least) when I had a television career – Sunday morning worship on Anglia TV. It was lovely to go back and enjoy it. Flat access, and they opened the big doors so I could push Julie through – the church is opened and staffed all day. 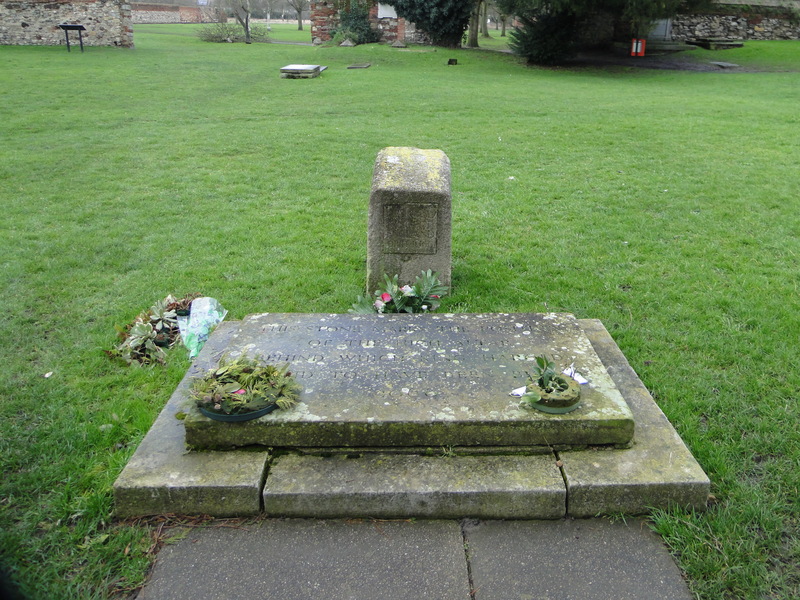 There has been a church here since the seventh century, and a stone church was erected by Harold Godwinson, later Harold II, in the 1050s. 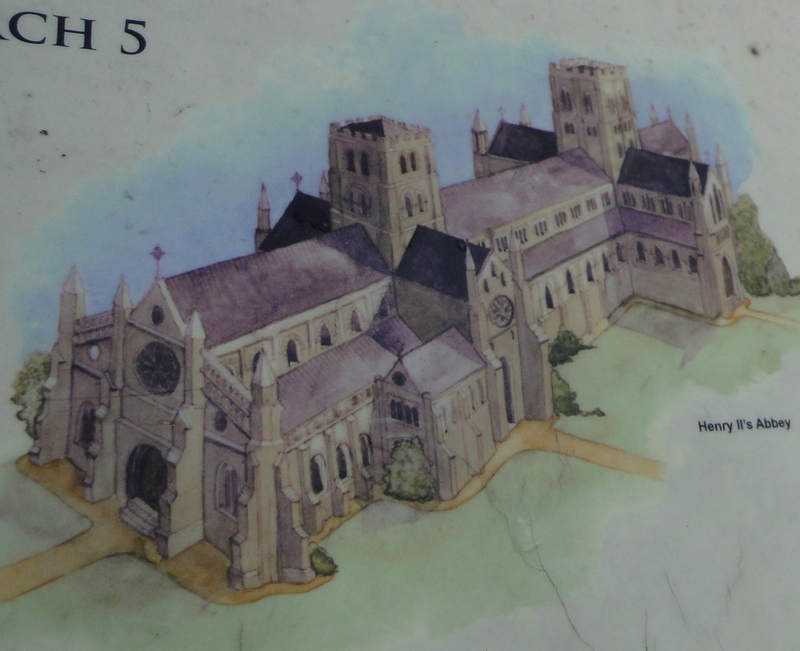 Apparently it housed a famous cross brought from Somerset, in front of which Harold had been healed. 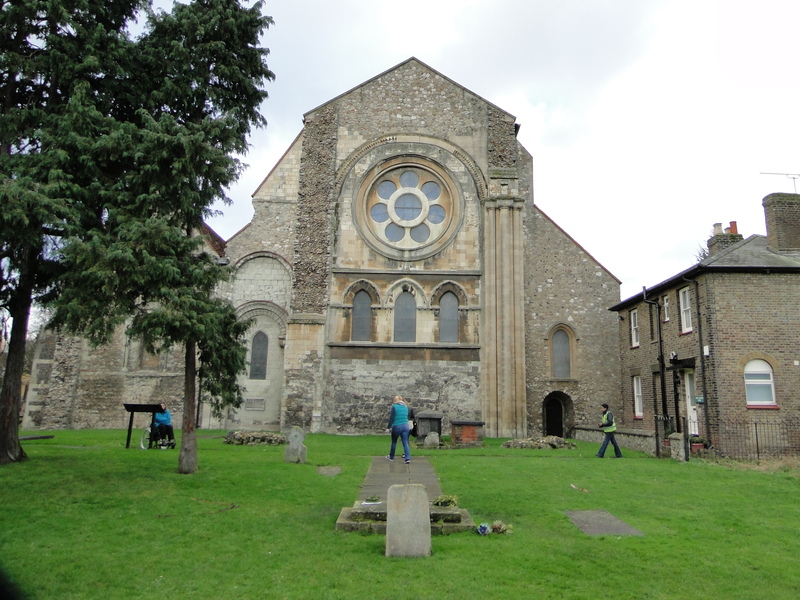 When Harold was killed at the Battle of Hastings he was buried at the east end of the Abbey. 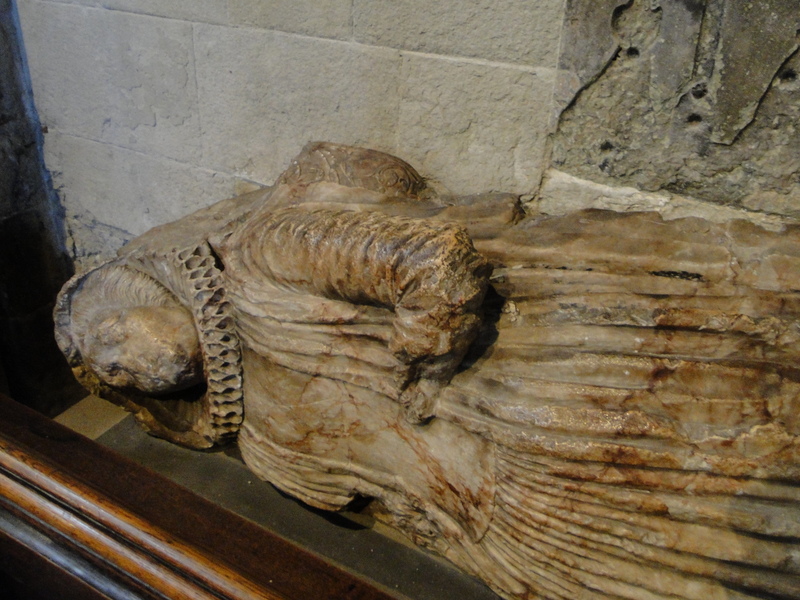 A community of 13 secular canons established by Harold was replaced by one of 26 Augustinian canons in 1177 when Henry II re-founded and enlarged the church as part of his penance for the murder of Thomas Becket in 1170. 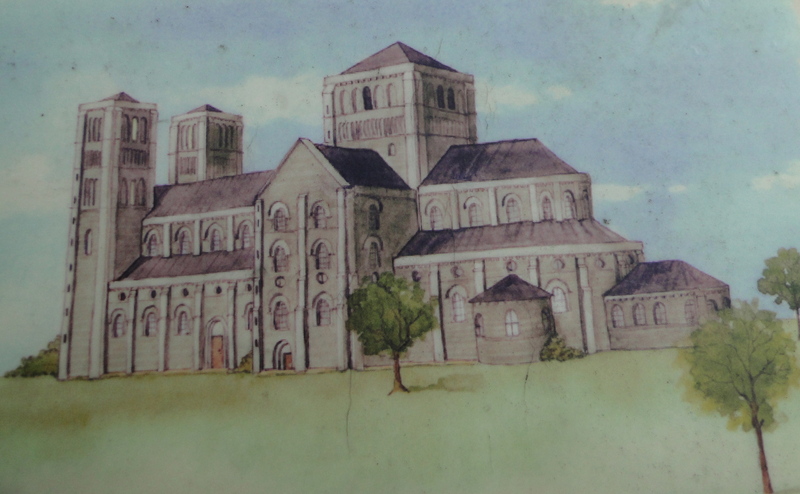 It became an abbey in 1184. 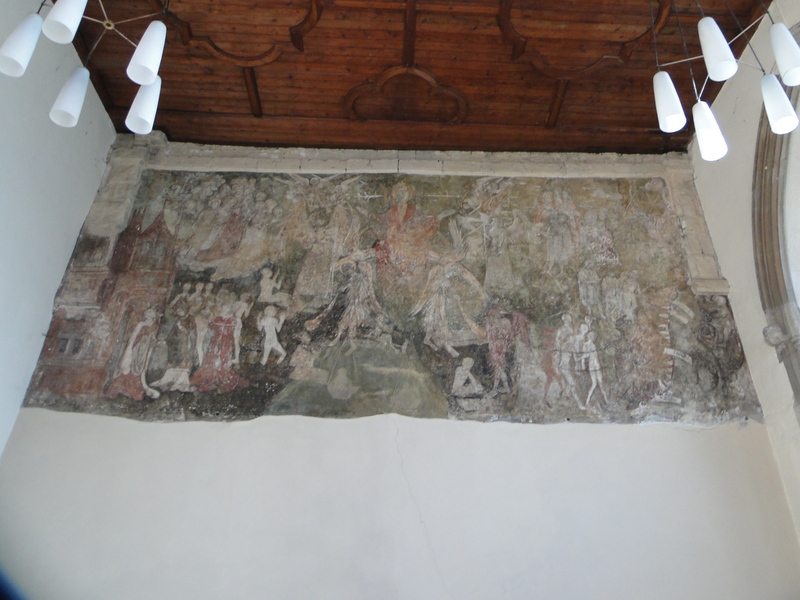 (In Bury we always felt we had done badly out of the martyrdom of Thomas Becket – it meant Canterbury got the pilgrims who, in previous years, had come to Edmund). 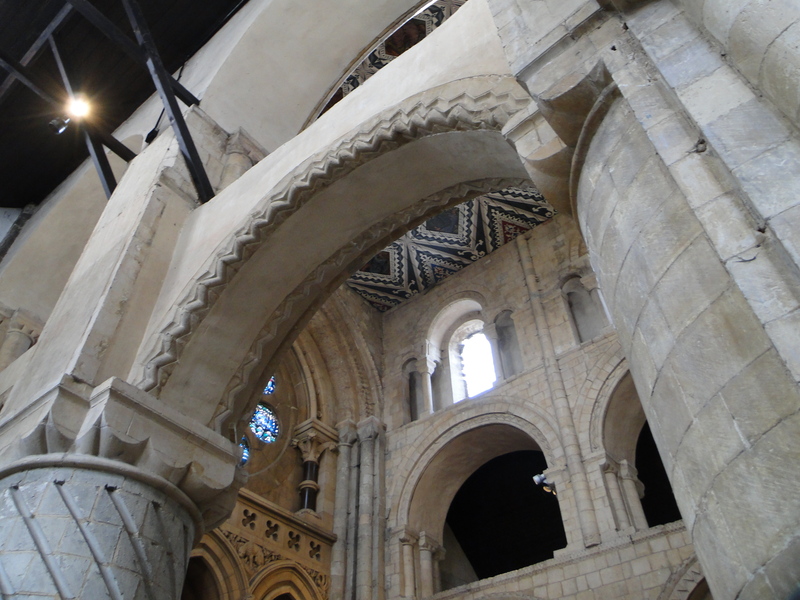 A pilgrim entering by the west door, as we did, would have looked down a nave three times longer than it is now. 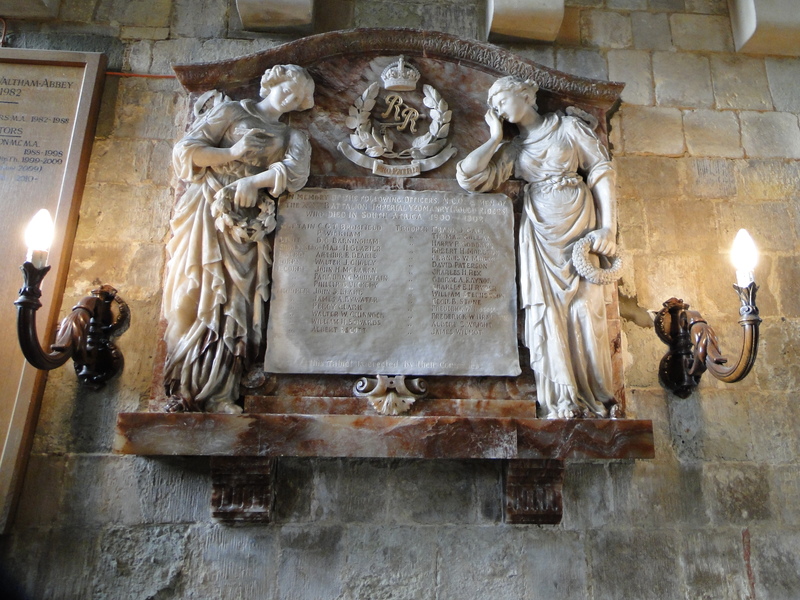 Waltham was the last of the English abbeys to be dissolved by Henry VIII, and the town claimed what has become the present church. 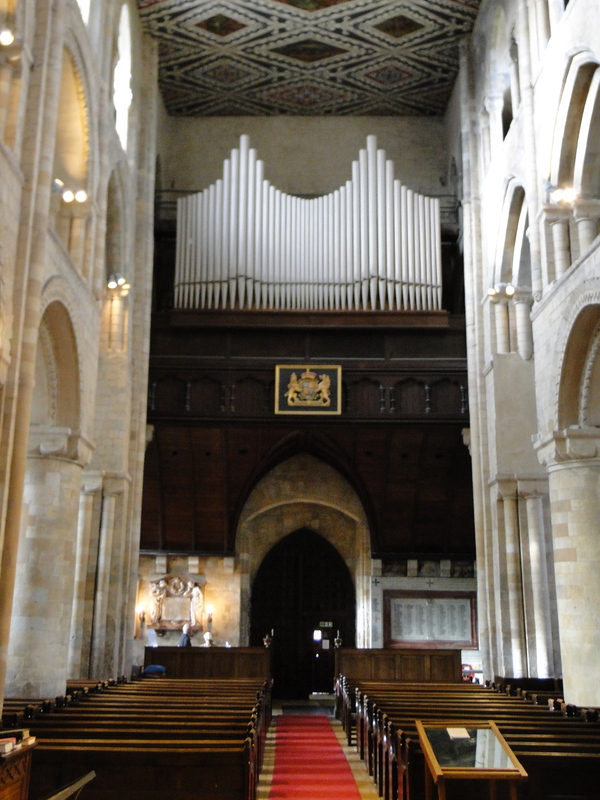 Thomas Tallis was organist here at the time. 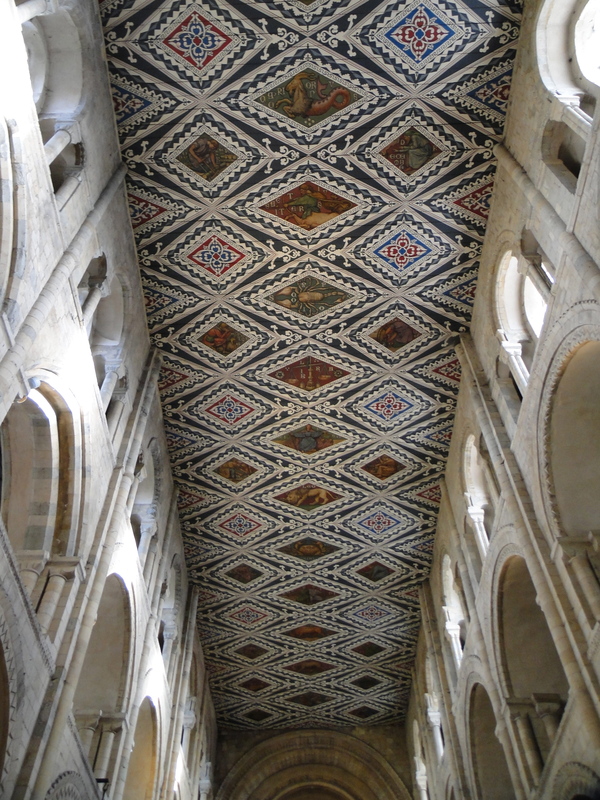 The nave ceiling is Victorian – signs of the zodiac. (Get that past the DAC!). 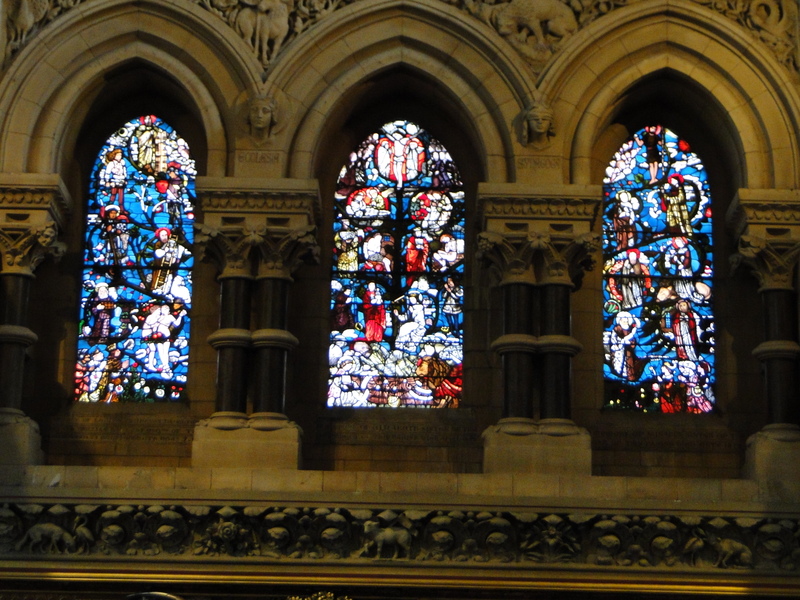 The east window and stonework are part of the 1859-60 restoration. 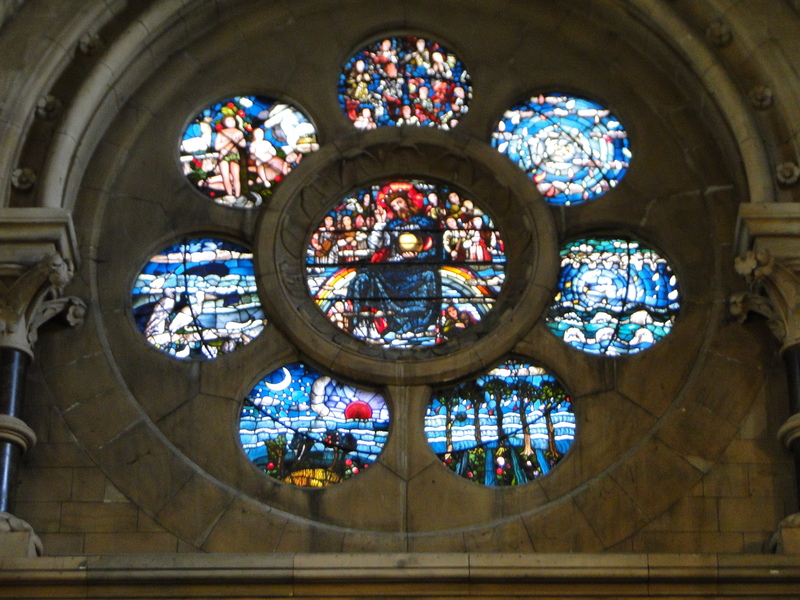 The Rose Window and the Jesse window were designed by Edward Burne-Jones. It is gorgeous. 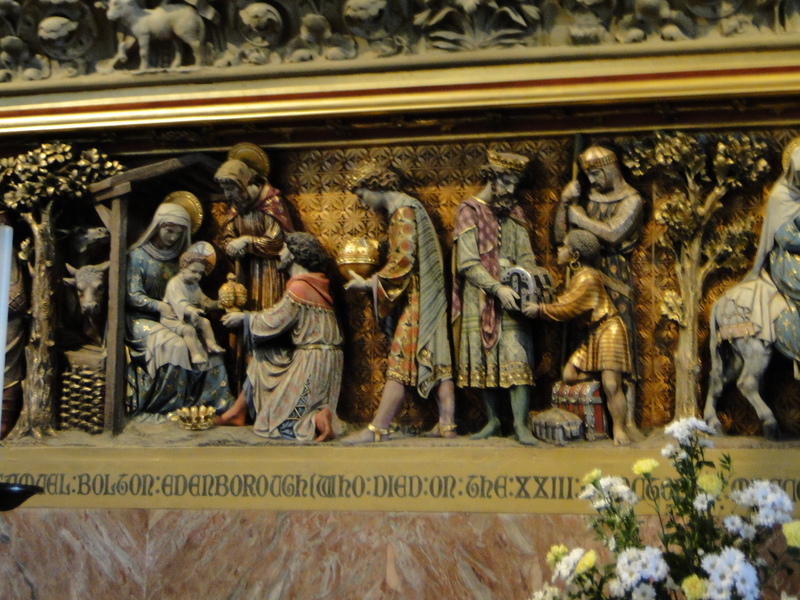 The reredos was designed by William Burges, and added in the 1870s – nice Epiphany. If it had been an unstaffed Northumberland church I would have got closer and photoed it – I didn’t feel I could start climbing around here. 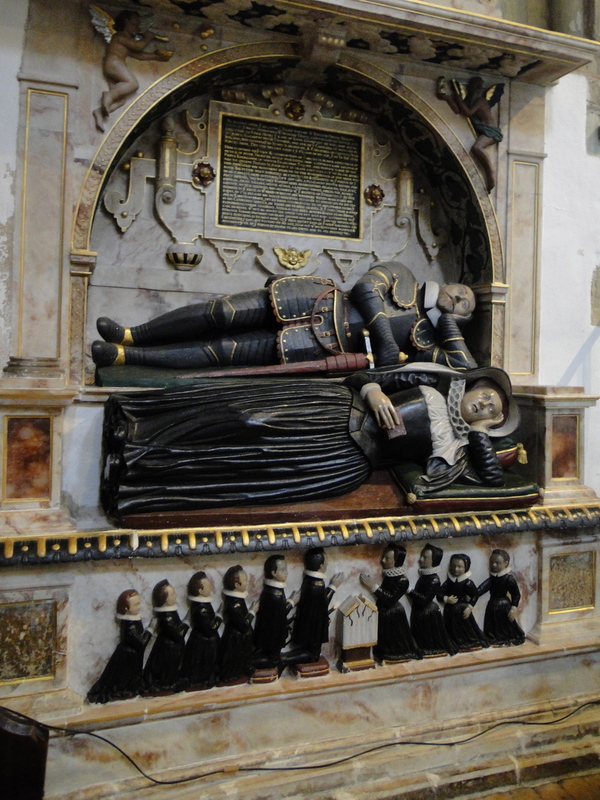 Elsewhere there are memorials to South African War dead, a ring of 14 bells (memo to self – don’t live too close) in the only church tower erected in the reign of Mary Tudor (so the guide says), and some interesting tombs in the north aisle. 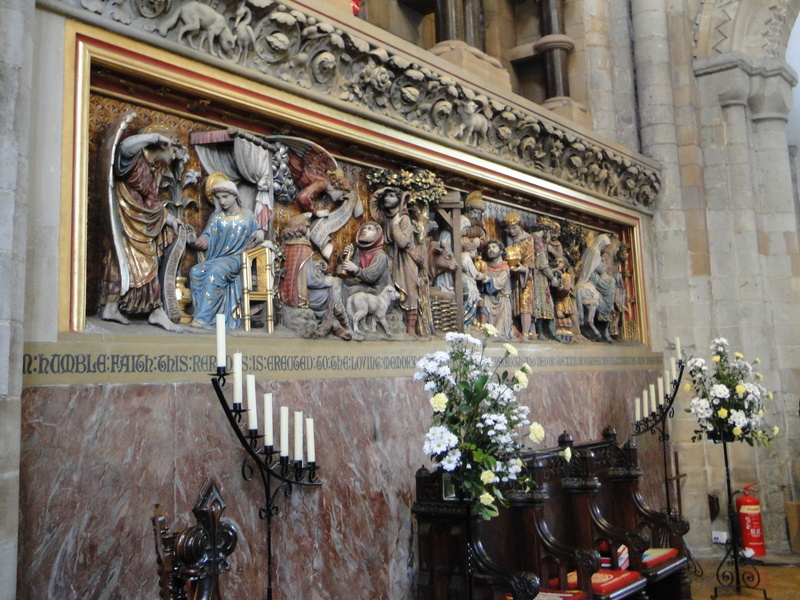 There’s a nice Lady Chapel too – though it’s wheelchair inaccessible – with a fifteenth century Doom painting and some 1930s windows. It would have been nice to have wandered round the ruins if the weather had been better. According to the magazine they have a Team Rector, Associate priest, Curate and two Team Vicars – I hope it’s a congregation that repays all that attention. 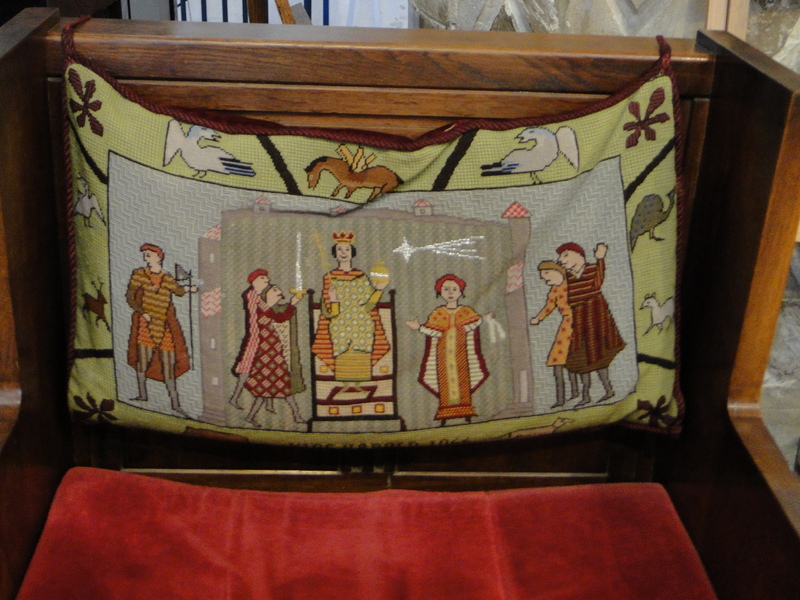 We continued south to the William Morris Gallery in Waltham Forest – good website, nice cafe, and some lovely examples of Morris’s work. 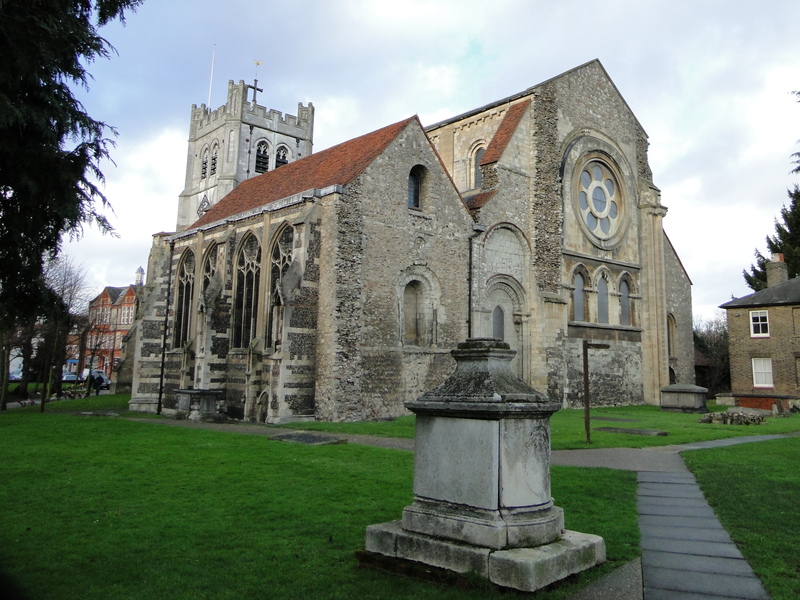 Just another memo to self – Waltham Abbey and Waltham Forest are not the same place! Interesting, my enquiry prompted by a write up in today’s Colchester Gazette, of this place as part of a promotion by the Essex Tourist people. They, like the Northern Vicar here do not say much about it longevity as a spiritual or administrative centre. For me it is a place of childhood memory, often passed in motor journeys and near the banks of the River Lea/Lee where I cycled to fish from Highams Park in the early 1960s. Latterly I am also curious about this Lawrence, presumably the same Laurence who had the church building at nearby Parish of Upminster dedicated to him. 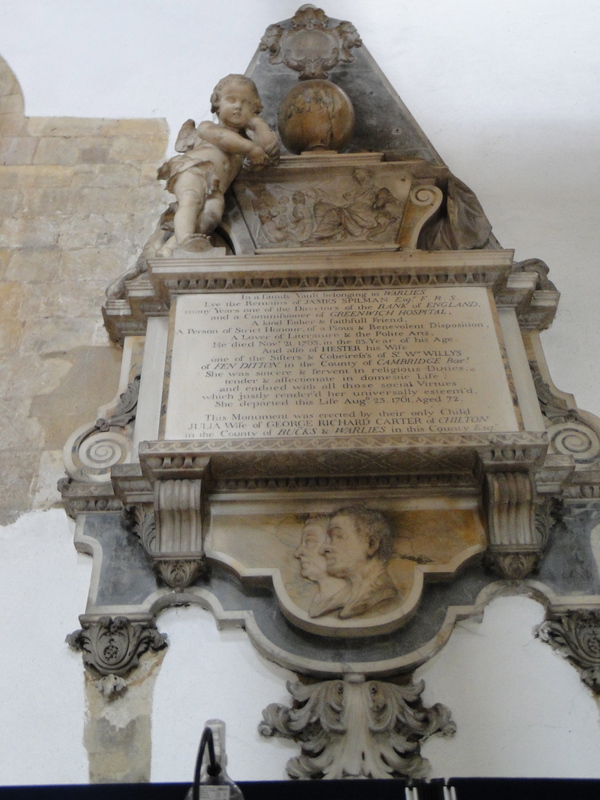 He is rarely mentioned, or not so as I have ever noticed, but was considered worthy of dedication over ten centuries ago, with those dedications being sustained. He must have done great works? Yes – these buildings have seen a huge amount. 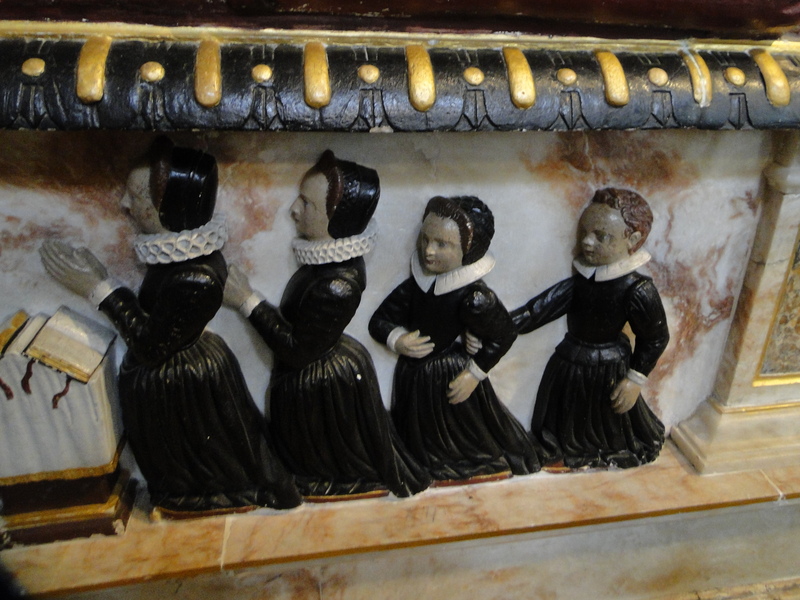 I find it frightening it is three years since I visited and wrote that blog, and what is three years in the life of our churches? Lawrence was a Deacon in Rome, martyred in 258 AD. It makes you wonder why churches in England are dedicated to him (including one I used to look after at Lackford in Suffolk).